Ethernet technology continues to dominate networking in the enterprise and is the go-to-choice for network applications in the local, campus, wide area and data center environments. Its relevance is being sustained by increasing bandwidth upgrades that are seeing 100 Gbps Ethernet networks now entering production. 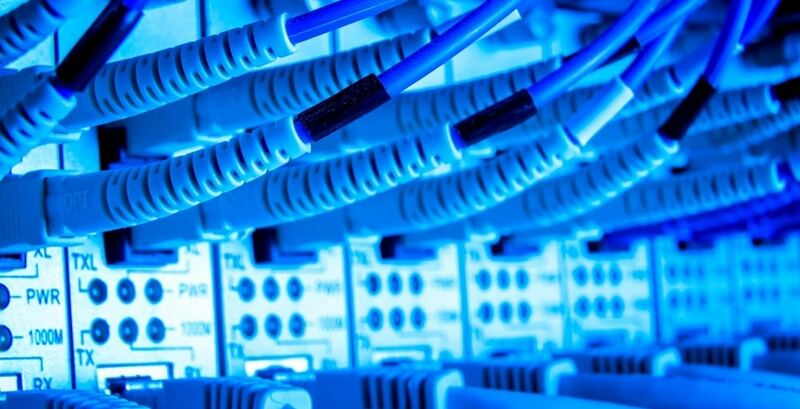 The strongest area for Ethernet networking equipment sales in the enterprise through 2013 is the data center, according to a recent report from the Dell’Oro Group. It says that Ethernet switch sales surged to a record $21 billion in 2012, driven virtually single-handedly by data center deployments. Dell’Oro Group predicts that the market for Ethernet switches will continue to grow through to 2017 to reach $25 billion. The analyst says the increasing popularity of WLAN as an access method on enterprise campuses is changing how they deploy their network. Away from enterprise deployments, network operators are looking to 100 Gigabit Ethernet to beef up Internet backbones with additional network capacity. The push towards the new network standard is happening worldwide. In China, CERNNET has launched the country’s first commercial 100 Gigabit Ethernet network. It will support China’s higher education institutions. The technology jump to 100 Gbps Ethernet is a significant advance on the 10 Gbps and 40 Gbps in operation today. Dell’Oro says that sales in 2012 more than tripled over the previous year, and that 2013 should see a further doubling. Ethernet services are also growing solidly according to analysts, with enterprises particularly attracted to their flexibility and rapid deployment. Ethernet services are typically cheaper than leased line services and have lower equipment costs. IDC says that in the US alone Ethernet service revenues will grow from $5.2 billion in 2012 to $9.2 billion in 2016. Enterprises are also using Ethernet as a replacement for access circuits to the Internet and IP VPN circuits. The three main applications for Ethernet services are in data center connectivity;disaster recovery and data storage replication, the analyst adds. “Enterprises are increasingly utilizing 100Mb, gigabit, and even 10 gigabit Ethernet services for domestic and international WAN networking,” said Nav Chander, research manager, Enterprise Communication Services, IDC. The popularity of Ethernet services is helping to eliminate competing network technologies. Infonetics Research predicts that Ethernet and MPLS IP VPNs will conclude their takeover of enterprise networks by 2015, completely replacing any vestiges of legacy Frame Relay and ATM. “Despite some slowdown in Europe in 2011 and 2012, we see solid growth ahead for both IP MPLS VPNs and Ethernet services, together topping $81 billion worldwide by 2016,” comments Michael Howard, co-founder and principal analyst of Infonetics. So it seems that Ethernet’s networking dominance is set for some time to come. Will anything arrive that will eventually replace it? This story appeared first on Orange Business Services’ Connecting Technology blog. Where can metro cells enhance mobile networks? Small cell technology is essential to the future of mobile networks; the next step is knowing where to site small and metro cells to ensure maximum effectiveness. We recently worked with Alcatel-Lucent and their WNG team to develop the below infographic on the evolution of the mobile data plan.